With the live demonstration of our autonomous impact protection vehicle (AIPV) on Friday, it is a good time to tell you WHY we created the AIPV, the world’s first autonomous TMA truck. Would you want to be the driver of the TMA truck that has to take the impact of a vehicle traveling at speeds in excess of 45 miles per hour? No one does. It is an incredibly dangerous job. Drivers of TMA trucks have been injured and, even worse, some have died. We aim to make the work zone safer by taking the driver out of the TMA truck, a vehicle designed to be hit by oncoming traffic. I want you to imagine you are the driver of a TMA truck. You are in a rolling operation and you see a tractor trailer driving towards your truck. To provide context, an average tractor trailer is between 70’ and 80’ long and legally can weight up to 80,000 pounds. In this situation, what is your natural instinct telling you to do? For many people, the answer to this question is to try to swerve the TMA truck away and avoid the crash. By doing this you leave an entire work crew fully exposed to an errant vehicle driving directly at them. As humans we are ingrained with a self-preservation instinct. Simply put, in split-second, high-stress situations we are ingrained to do whatever it takes to keep ourselves out of harm. With the AIPV, we removed all errors stemming from a human driver’s self-preservation instinct. When the AIPV is struck by a vehicle it automatically applies the brakes, thus doing its job by protecting the workers. When you get the chance, I want you to stand outside and try to measure exactly 75’, 100’, 150’, and 175’ in front of you. How close were you? Even if you were close, imagine if another human’s life was dependent on the exactness of your measurements! The reason I had you run through this exercise is to show you how hard it is to “eyeball” measurements, a skill a TMA truck driver needs to utilize during every operation. 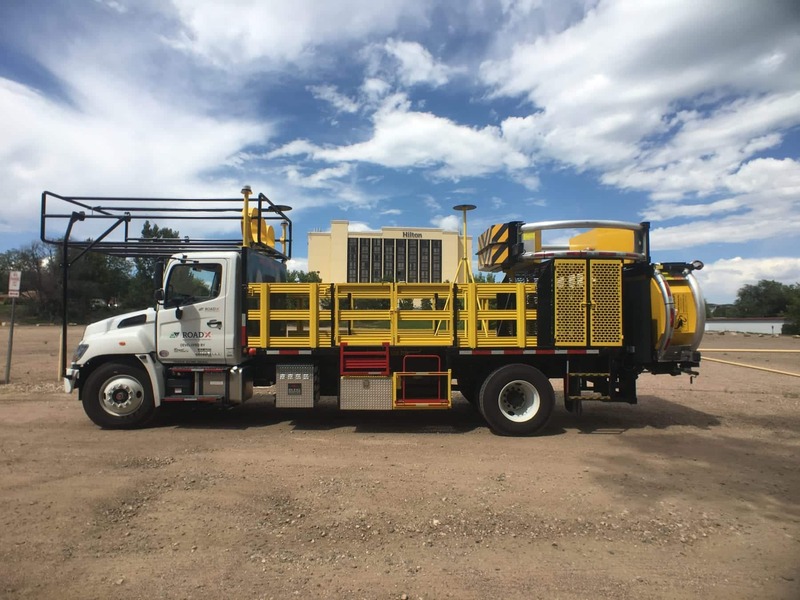 The Manual on Uniform Traffic Control Devices (MUTCD) recommends the TMA truck to be exactly 75’, 100’, 150’, or 175’ behind the work zone depending on the weight of the truck being used and its speed to allow for ample space for roll-ahead distance. Additionally, in many operations, the TMA truck driver has to ”eyeball” distances while in a moving operation. If they are too close to the work zone, there will not be enough roll-ahead distance allotted and any impact taken will cause the TMA truck to roll into the workers, potentially causing injuries or fatalities. If they are too far away on the other hand, the TMA truck is not useful in preventing oncoming traffic from entering the work zone. 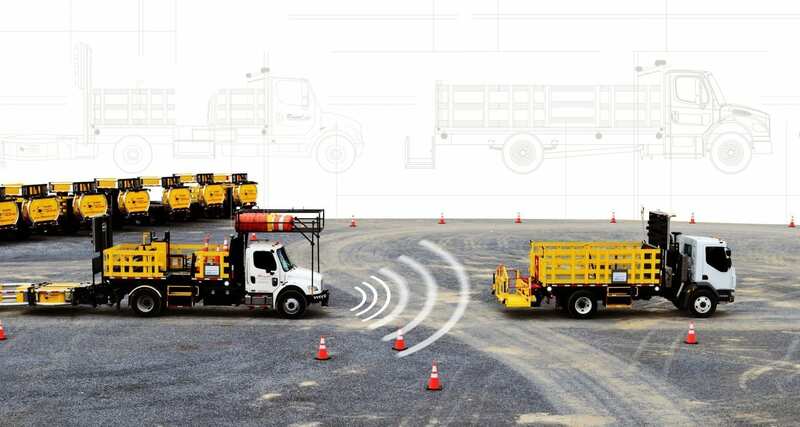 With the AIPV, the shadow vehicle’s deviation distance is drastically reduced compared to when a human is driving the truck. Less deviation means that the truck is more useful in protecting the workers in the work zone. We are just 3 days away from a live demonstration of the AIPV being deployed in a highway work zone in Fort Collins, Colorado! Can’t make it to Colorado to watch? Just go to our website, where we will have the links to our live streams of the event!